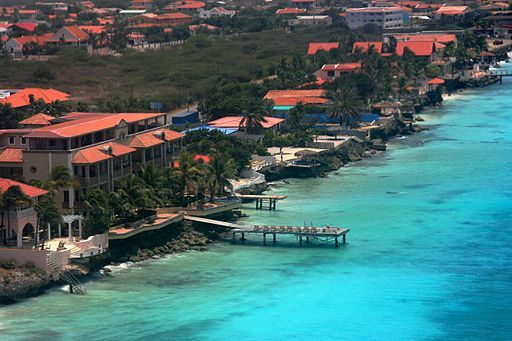 The CIEE Tropical Marine Ecology and Conservation program in Bonaire is a study abroad program for undergraduate students. The intern will assist in academic program delivery, research, group dynamics, logistics, dive safety, student safety and the overall support of the faculty and staff. Duties include assisting with preparations for classes and labs as instructed by faculty, record keeping, outreach to the local community, assisting with volunteer programs and with normal day to day operations at the field station. The internship starts as soon as possible and lasts through December 10, 2016. We are looking for an individual with the ability to work as an effective team member to provide a world-class educational opportunity for our study abroad students. Minimum qualifications for the internship: BA/BS in Biology with an emphasis in Marine Biology or Ecology (MSc preferred). Experience managing students or conducting ecological research is highly relevant. The intern should have a passion for education and research in marine ecology and conservation. Additional minimum qualifications related to diving: Scientific diving experience (minimum of 20 scientific dives); dive equipment including full length wet suit; current certifications in Emergency First Responder, and Oxygen Rescue; (minimum of 50 dives logged); DAN insurance and a comprehensive dive physical. Compensation: Shared accommodation at the Residence Hall will be provided to the successful applicant. Airfare will be reimbursed up to $750 and a stipend of $100/week will be provided. Lunches and dinners are provided during the 14 weeks of the academic program (Aug 27 - Dec 3). Other meals, health care and personal expenses are not covered. CIEE Alumni are encouraged to apply! To apply: Send a single PDF containing 1) cover letter, 2) CV, and 3) contact information for three references to info@cieebonaire.org with FALL INTERNSHIP in the Subject line. Please indicate on the CV your dive experience (certification level and number of logged dives). It is a pity that this offer is over, and I will not be able to participate... When will you be accepting new applications? I'll be waiting for the answer!